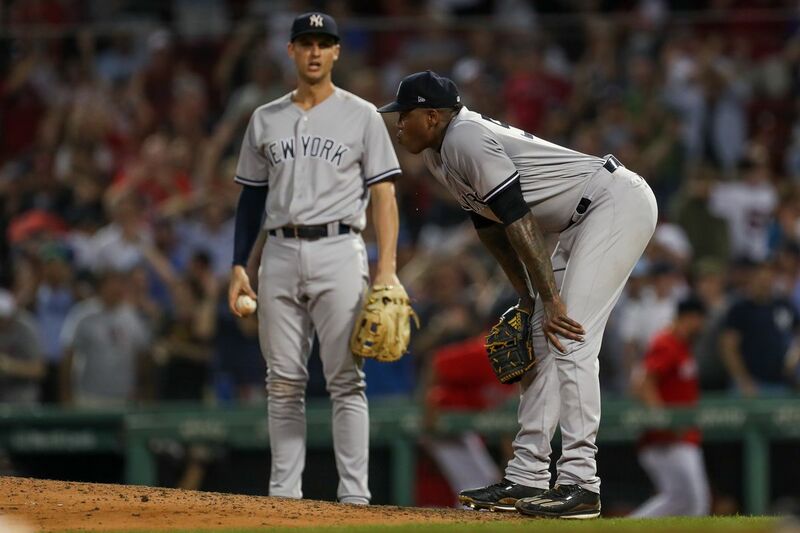 It is no secret that the Yankees have been terrible during their five-game losing streak. I consider myself a well above-average optimist on the spectrum of Yankee fandom, and I have not felt so pessimistic about this team in such a long time. 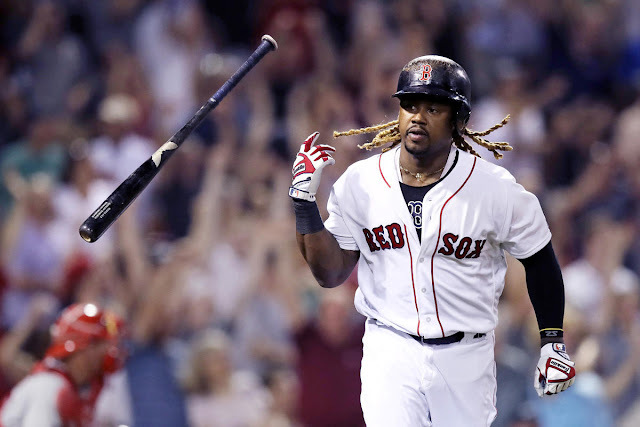 Other than a glimpse of hope against Craig Kimbrel on Saturday, Chance Adams not being shelled in his long-anticipated MLB debut, and the Yankees holding a lead against the Sox for barely two innings before collapsing on Sunday, there was absolutely nothing positive about the weekend series in Fenway. This four-game sweep and the disaster of a finale in Baltimore where the Yankees were shut down by a 14-game loser in Alex Cobb have been as atrocious as it can get for the Yanks. The bright side, I use this term loosely, to all of this is that it is very easy to pinpoint why exactly the Yankees are on rock-bottom. Here’s what I think is behind this stretch of losing. Without even going into the numbers, this is easy to justify. The Yankees lost five games, and they were started by: Alex Cobb who IMPROVED his record to 3-14 and ERA to 5.83 after beating the Yankees, the up and down Brian Johnson who had never struck out more than five hitters in an outing this season before striking out eleven Yankees, Rick Porcello who threw a one-hit, complete game, former-Yankee, Nathan Eovaldi, who tossed eight shutout innings, and finally David Price who tossed a quality start after having a 24.92 ERA against the Yankees this season. This group of pitchers should not have resulted in five consecutive losses. Numbers wise, it gets worse. During their skid, they are hitting at a .626 OPS mark, while leaving thirty runners on base. That is not a typo, thirty runners were left on without crossing home plate. That number is insane considering the Yankees were one-hit in one of these five games, with their only hit being a solo-shot off of the bat of Miguel Andujar. The Yankees did score seven runs and four runs ,in two of the games, and still lost. However these run totals should have been much higher considering all the missed opportunities. The Yankees ran into some good luck when Xander Bogaerts made his sixth error of the season yesterday allowing two runs to score. He normally makes this play 99% of the time, so the Yankees would not have even had a chance to win yesterday had this anomaly not happened. Hicks, Torres, and Bird, who have occupied the middle lineup in Judge’s absence, have hit .125, .133, and .118 respectively during this five game losing streak. Aaron Judge and Gary Sanchez are deeply missed by the offense, but there is no way this group of hitters should have this sluggish of production when they are needed most. Aaron Boone has done his part to contribute to the Yankees' skid. 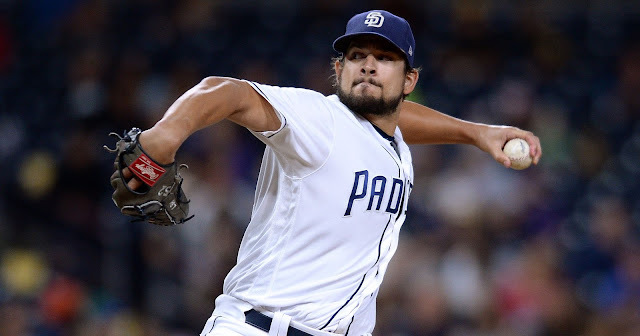 With the bullpen, he left Jonathan Holder in to get shelled for seven runs against Boston, and he left Aroldis Chapman, who had not pitched in five days, in after he was clearly struggling and had already surpassed his season-high pitch count. He played Shane Robinson twice, and played Luke Voit twice. Voit did next to nothing and Robinson’s biggest contribution was walking versus Heath Hembree. He also sat Neil Walker all weekend, despite him being the Yankees’ best hitter in July. Boone had to manage this series like it was a playoff series, and he appeared to act like it was a series against the Orioles in April. He frequently mismanaged the bullpen, set laughable lineups, and did not help set his team up to win. Even when there were flares of drama, he remained in the shadows unlike his first-year adversary, Alex Cora, who was thrown out of Saturday’s game. It would be foolish to place all the blame on Boone, but he clearly is not getting the best out of his ball club. During this stretch, only Luis Severino went more than five innings, it took him 115 pitches to go 5.2, and no pitcher has gone six innings this month. The blame for this can go both ways. 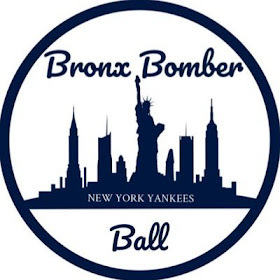 Gray was terrible versus Baltimore, Sabathia labored through three innings, and Boone decided he had seen enough, Adams went five in his major league debut, but likely could have gone more if Boone had allowed him to, Severino continued his struggles, and Tanaka was pulled after 4.2 strong innings after an Andujar error. Whether the defense, pitching, or coaching staff is to blame, this type of length from the starting staff is not a sustainable way to win baseball games. The Yankees bullpen has not been amazing during this stretch, but they have been worn out due to the lack of innings eaten by the starters. The Yankees were forced to burn Luis Cessa and Lance Lynn due to poor outings, who were both possibilities to pitch in Boston. It was this lack of length which was, hopefully, the reason Boone tried to stick it out as long as he did with Holder and Chapman. This not only hurts the team in the short-term moment, but also in the long-term, due to fatigue. If the Yankees want to right the ship, starting with the White Sox series, they have to start hitting like they are capable of, especially against bad pitching, Aaron Boone has to do whatever he has the power to do to best situate the Yankees each night, and the starting staff needs to start going deeper into games and not putting the offense in a bind early. If the current trends of the team continue, expect a lot more losing.